Satya Nadella stepped in as CEO of Microsoft effective immediately and his first email to employees sets the tone for his reign. Analysts describe him as a safe pick and it shows – Nadella has asked Bill (he’s on a first name basis with Mr. Gates) to “devote additional time to the company, focused on technology and products”. The new CEO won’t be hiding behind the back of the original one though, he points out specifically mobile and the cloud as areas of great interest for the company (he was in charge of Microsoft’s Cloud and Enterprise division). Nadella declares the goal of putting a PC in every home achieved and says the company will focus on more devices and tips his hat to Nokia. He also mentions ambient intelligence and new hardware form factors. I could be reading too much into it, but this could be a reference to the Cortana voice assistant and wearables. 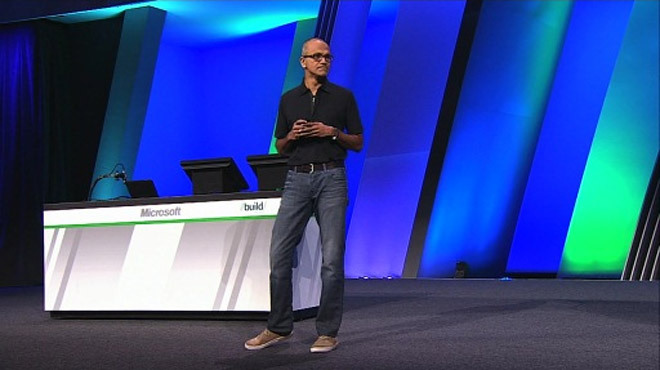 According to the new CEO, the core goal of Microsoft is to empower users of its products to “do more”. You can read the full address to his employees over here.